Download a brochure & see hunt areas. Browse outfitters and plan your hunt. 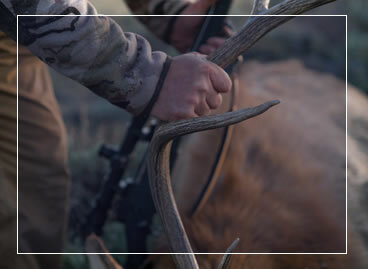 Reach out to connect with Wyoming's best elk outfitters. We are a select group of eight top quality, seasoned outfitters from across our great state of Wyoming! The outfitter members of this organization are considered to be some of the best in their field, highly respected leaders in the big game outfitting industry of Wyoming! Considering all the details that go into providing a safe, enjoyable and successful elk hunt, choosing the right outfitting operation to hunt with is paramount! 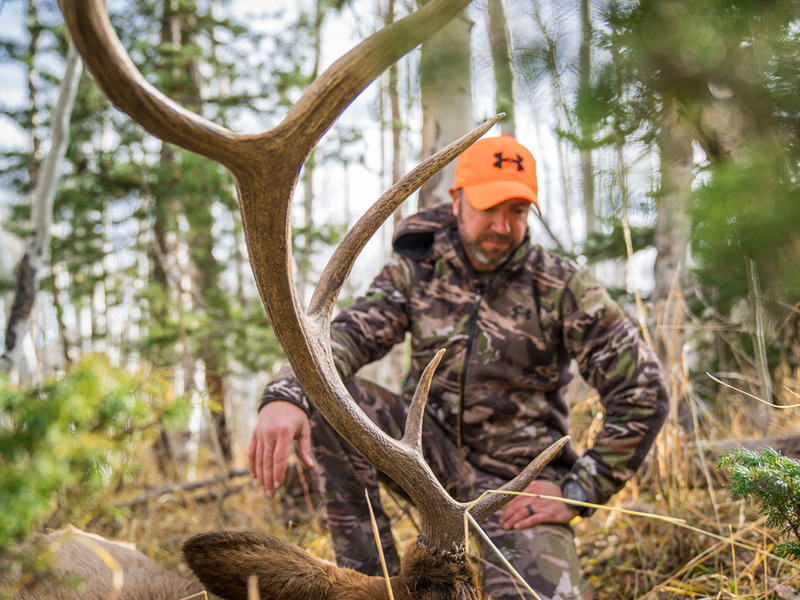 The “Premier Elk Outfitters of Wyoming” are here to help you streamline the process of finding the right hunt and the individual Outfitter that best meets your personal needs and desires. Each “Premier Elk Outfitter” offers unique and diverse hunting experiences, providing memories to last a lifetime! Whether you are an experienced sportsman with many elk hunts under your belt, or your first hunt ever, we have the memorable experience you are looking for! 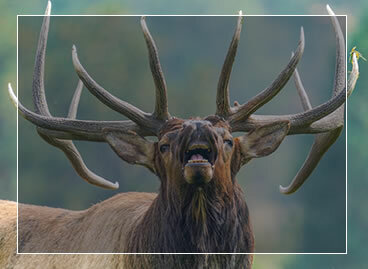 “Premier Elk Outfitters” offer a wide variety of quality hunts from classic, rugged wilderness horse-back pack-in wall tent camps, to deluxe drive-in lodges and private ranch hunting by 4x4’s, and nearly anything in-between! As you read this, Wyoming’s elk hunters are experiencing “the good old days”, today! Over the past 20+ years, Wyoming’s elk population has exploded from just over 60,000, to well over 100,000 animals! There has never been a better time in modern history to enjoy a quality, highly successful, western elk hunt in Big Wyoming! 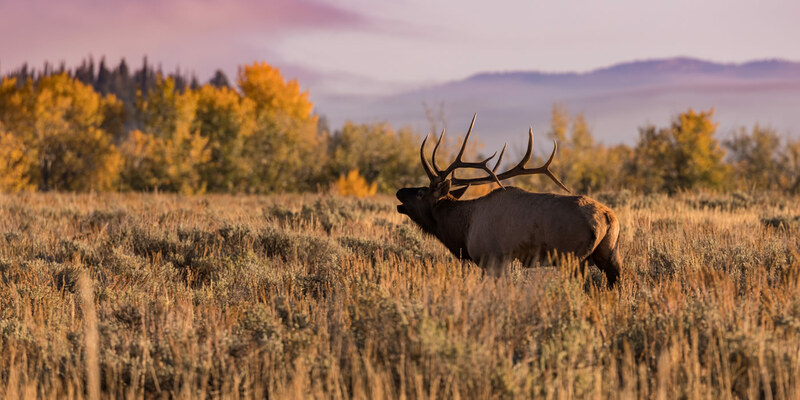 Wyoming’s elk hunter harvest success rates and trophy quality have never been higher, both in Limited Quota areas, as well as General Permit areas throughout the the Cowboy State! In fact, we boast the highest success rates among all the Western States! Now is the time to use those PREFERENCE POINTS that you've been accumulating, on a great elk hunt in Wyoming! While some limited entry areas may require 10 preference points to guarantee a draw, the General license requires only a couple of points as a rule, and the quality of either elk hunt is over the top in Wyoming! 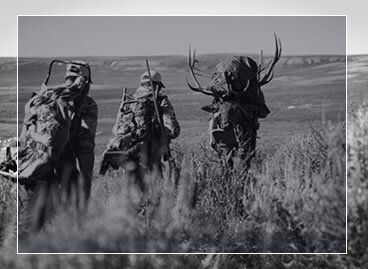 We encourage you to check us out, connect with our Web-site links, and confidently book a great elk hunt in Wyoming with one of the highly recommended Outfitters of the “PREMIER ELK OUTFITTERS OF WYOMING”! We look forward to hearing from you soon! Ready to start your adventure? You'll want to start by choosing an experienced guide service.